Jeff is best known for presenting Gillet Soccer Saturday. 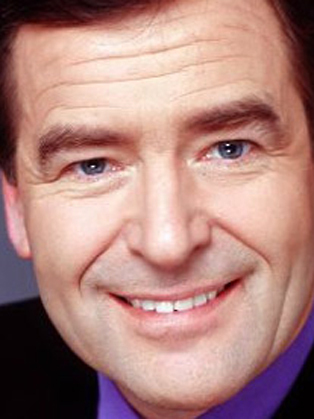 Jeff Stelling is the near legendary presenter of Sky Sports News' football coverage. With an incredible memory and attention to detail, Jeff leads his loyal audience through six continuous hours of discussion and match reports on Gillette Soccer Saturday. Stelling was brought up in the North-East town of Hartlepool and is a supporter of local team Hartlepool United. After an apprenticeship with the local newspaper, his first broadcasting position was as a reporter on Middlesbrough F.C. for Radio Tees, before moving to BBC Radio 2’s weekend sports programme Sport on 2, covering the Los Angeles and Seoul Olympic games. He later spent time as a sports newsreader at TV-am, Channel 4, Eurosport and British Satellite Broadcasting before moving to Sky in 1992 to present coverage of horse racing, snooker and darts. Stelling rarely appears on terrestrial television, despite offers to become the face of ITV Sport, although in 2003 he won a sports presenter special edition of ‘The Weakest Link’. At the start of the 2005-06 Premiership football season, Stelling replaced Ian Payne as the host of Sky Sports ‘Ford Monday Night Football’ programme.